This week is one of the most traveled Summer Holiday weeks in the USA and with tensions high after recent threats and terror attacks across the globe are leaving folks with shattered nerves and worrisome travel woes. 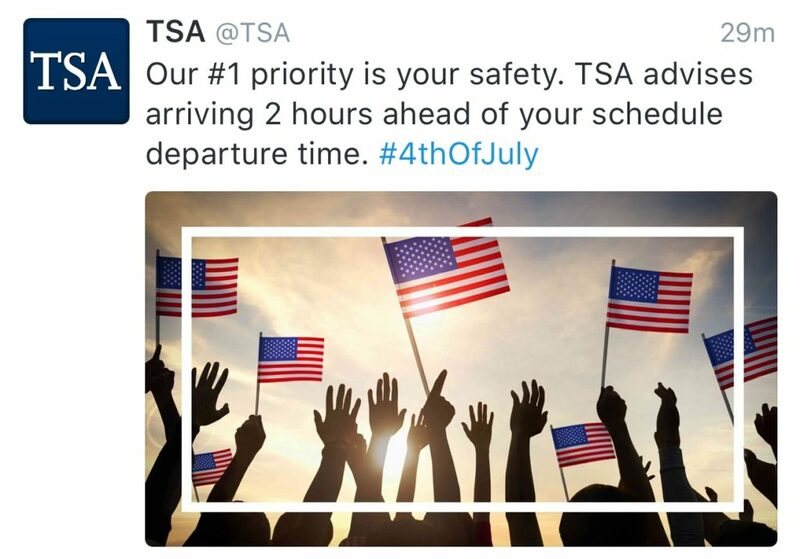 Which is precisely the reason we wanted to share TSA’s Travel Trip Advisory with each and every one of you. Being prepared is your best Travel Tool to have a successful Travel experience, and if you follow instructions wisely and travel with plenty of elapsed time allotted, you will be forever a successful traveler. Arrive Early! You can expect lots of company checking in, checking bags and in the lines leading to security screening. We recommend arriving up to 2 hours early for domestic flights and 3 hours for international destinations. Insect Repellents: They are permitted in your carry-on bag and checked baggage. The liquid limits apply when carrying these in your carry-on bags. If You See Something, Say Something™: Public awareness is key for supporting TSA’s security efforts; therefore, TSA encourages travelers to remember “If You See Something, Say Something™.” For those traveling abroad, check the U.S. Customs and Border Protection Know Before You Go page to learn about required documentation. Our #1 goal is help you not only have safe travels, but be a smart traveler!